Human service programs and medical services are planned for and are offered by several organizations that include the City of Dublin’s Recreation Services, City of Dublin Volunteer Resources, Dublin Counseling Center, Dublin Youth Athletics, Dublin Soccer League, the Franklin County Board of Health, and the Dublin Food Pantry. Healthcare services to the community are provided by a broad range of medical and urgent care facilities throughout Dublin and the surrounding area. The Dublin Recreation Services produces an extensive and well-designed seasonal program of activities. Parks and recreation activities have fostered connections among various community groups such as schools, arts organizations, City government, youth sports organizations, etc. Although the Dublin Community Recreation Center (DCRC) is the primary facility used for activities and programs, school facilities continue to be heavily used for recreational programming. Some types of programming and activity space could become limited as the population increases. Many of the youth and teen camps offered by Recreation Services are geared toward serving the needs of children with working parents, especially during the summer and holidays. Efforts to develop additional opportunities and accommodations for individuals with special needs are a high priority. Specific activities and camps have been developed to provide recreation-based childcare needs that private providers cannot accommodate. Services to the senior population have also been greatly enhanced by the DCRC by providing a central gathering space and activities for seniors within the community. The City’s Office of Volunteer Resources provides varied opportunities for residents and corporate citizens of all ages to be engaged in local government. Each year more than 3,000 volunteers give more than 30,000 hours of time to City programs and services. This network of talented and generous people supports numerous functions throughout the City’s operations and is a valued resource to Dublin for recreational, educational, environmental and health/safety purposes, in advisory capacities, in times of need and for relationship-building throughout the community. The Dublin Counseling Center is a community-based mental health and substance abuse counseling center serving all age groups. The Center is a not-for-profit organization and receives funding from the Franklin County Alcohol, Drug Addiction and Mental Health Services Board; private payers; insurance providers and the City of Dublin. Annually, the Center services approximately 800 to 1,000 clients, most of whom reside in the Dublin School District. Dublin Youth Athletics (DYA) is a non-profit organization that fosters youth athletics. 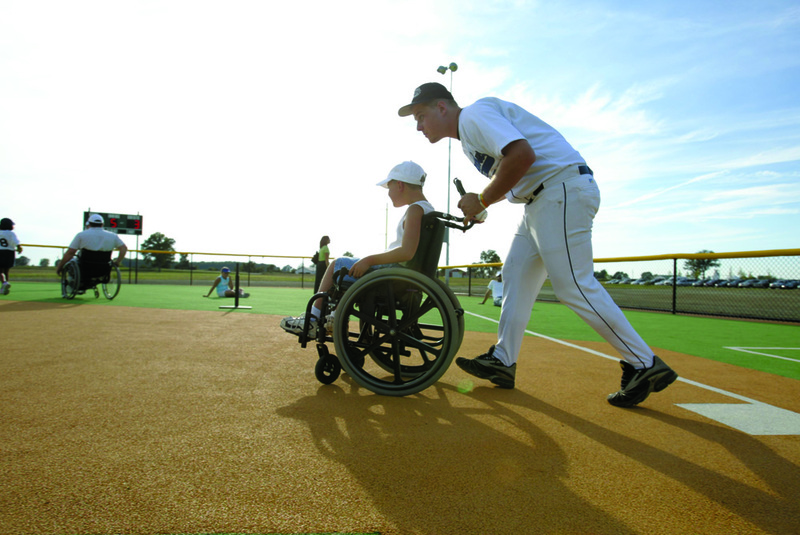 The programs include a baseball/T-ball league that serves 2,500 children from age five through high school. A traveling competitive league is available to children ages nine to 14. The basketball program is recreational and competitive, serving over 1,500 children from third grade through high school. 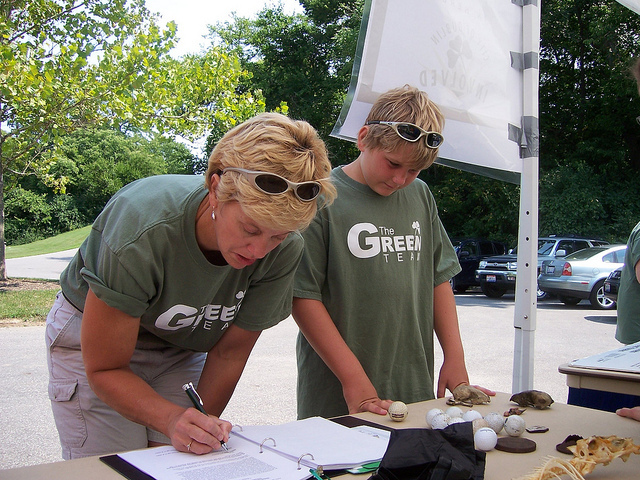 The DYA offers a golf program for approximately 100 children from grades 4 through 12. The organization also offers lacrosse for grades 1 through 6 and volleyball for grades 3 through 12. Each of these programs is in high demand. The Dublin Soccer League (DSL) is a non-profit youth soccer organization with more than 3,000 participants. DSL is recognized as the primary contracted provider of recreational soccer to the community by offering league opportunities within the city. The organization’s services are complemented by supplemental provider agreements with the Middle Tier Soccer Organization, a group that offers a higher level of competition (without exclusive tryouts) with games and tournaments in the Central Ohio region. The select soccer organizations (Ohio Football Club and Ohio Premier) offer the highest level of competitive soccer opportunities. Participation is subject to tryouts and competition is held over a wide area. The Franklin County Board of Health’s primary mission is the promotion, regulation and procurement of the public health and safety. Located on East Broad Street in Columbus, the Board provides services to the community in two primary categories: (1) environmental health service and (2) nursing and rehabilitation. Dublin maintains a contract for service so that services provided by the Board of Health are available to Dublin residents. The Dublin Food Pantry, located at 81 West Bridge Street, in the ground level of the Dublin Community Church has served the Dublin Community for numerous years and in 2012 became a 501(C)3 and established its first community-based Board of Trustees. The Dublin Food Pantry provides for the growing needs of the hungry by collecting and distributing food, and educating the community about hunger. In 2011, the Pantry served more than 2,400 adults, children and seniors, distributing more than 290,000 pounds of groceries. For health-related services, the Dublin area provides a broad range of medical, dental and specialty treatment facilities. The flagship of the city’s healthcare treatment facilities is the Dublin Methodist Hospital. Located at 7500 Hospital Drive, the 320,000-square-foot facility opened in January 2008 and provides a broad range of convenient hospital services. The facility includes a 24-hour full-service emergency department, outpatient and inpatient surgery teams, as well as women’s health and inpatient medical services. Dublin Methodist Hospital includes 94 patient beds with the potential for expansions to a 300-bed facility and parking structure. For a growing city, the hospital’s completion is a crowning achievement that significantly improves health care access for residents, particularly in emergency situations in a setting that focuses on establishing a quality environment for patients. In addition to the new hospital, a number of health-related facilities have developed, or are planned to address future needs, including the expansion of the Nationwide Children’s Hospital facilities; Dublin Springs Hospital, which provides mental health services; a variety of private skilled nursing, rehabilitation and Alzheimer care facilities; and the future location of the Ohio University extension of the College of Osteopathic Medicine in the West Innovation District. As the city grows in size and population, there will be additional need for organizations and groups to provide human services and medical treatment for residents that will vary depending upon the mission or goal of the organization. Services should also be evaluated to meet the changing needs of the community as the city’s demographic profile changes. Just as important is the need to create awareness of available services as high quality programs are often under-utilized. In the future, the City and private organizations should work to coordinate efforts to inform and educate the community. Good wayfinding and easy access to services are an important component to ensuring a high quality of life for Dublin’s residents.